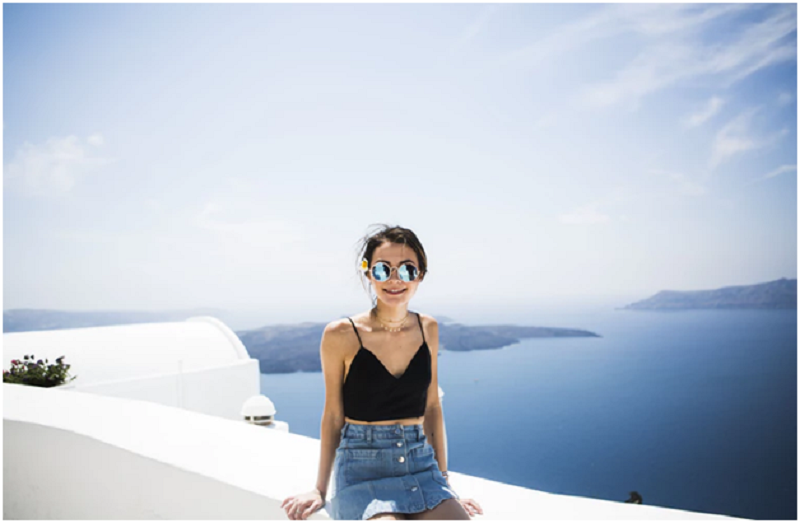 Summertime is fast approaching, and perhaps you would want to wear clothes to the bare minimum from bikinis to cute cutoffs. However, you might want to look at your skin first and think if you’re summer ready. Keep in mind that humidity, heat, and sun can badly damage or harm your skin. As such, it’s of the utmost importance to prep your skin before hitting the beach this summer. As you start modifying your wardrobe for summer, consider making several changes in your skin care regimen too. If you’re not sure where to begin, here are the five practical ways to prep your skin for summer. Check them out! The moisture on your face is not entirely about sweat. Know that the oil glands on the surface of your skin are more active and resolute when the weather is hot. As such, it’ll produce more oil and eventually more breakouts. According to one research, about 60 percent of people with blemishes claimed that their acne was in an unpleasant condition during summer. On the other hand, approximately 11 percent of people said that their blemishes get worse in winter. So, if acne breakouts is a big problem for you, summertime can worsen them. Acne breakouts usually pop out in the acne-sensitive skin in the summertime. A quick solution to this issue is to go for makeup products that act as a foundation, moisturizer, and SPF all in one. Also, it’ll be best to use a clay mask that’s oil-absorbing once a week. Look for titanium-based sunscreens and zinc because they’re perhaps the best beauty products that’ll help you reduce oil and moisture on your face. Moreover, opt for an oil-free and matte finish SPF. You can visit any online stores such as Deal Wiki to see a wide range of these products. Ease and mitigate face flushing or redness by drinking a lot of water. It’ll help hydrate your entire body and your skin as well. Whenever you feel thirsty, drink water immediately. It is natural to get thirstier in the summer months. Also, remember to avoid staying in the direct sun for too long. Sure, it’s a lot easier to say it than doing it, but keep in mind that if you stay under the direct heat of the sun, it’ll make your skin irritated and red. It’s also important to always use the right sun protection, even if you’re working, always remember to apply and reapply sunscreen. Moreover, avoid over-exfoliating. Yes, it’s important to exfoliate to remove the dead cells that can wreck one’s complexion. But, be careful not to overdo it because it can cause inflammation, irritation, and redness. Having fun under the sun can devour lots of your energy. Visualize what it will do to your skin. Keep in mind that the more exposure to ultraviolet you get, the more mottled the skin and the deeper your wrinkles will be. Opt to visit dermatologists once a month for spa facials, especially microdermabrasion facials and deep cleansing. By doing so, you’ll, without a doubt, achieve or have a great summer skin. They are also the most excellent way to clean your pores in such way where you can’t do it on your own. You can make your skin summer-ready by eating the right type of foods. Thus be sure to eat foods rich in Omega 3 fatty acids that you can find in a fatty fish such as sardines and salmon. These fishes contain great nutrients and vitamins for your skin, protecting it against cancer and sun damage. They also have anti-inflammatory features as well. Also, opt for coconut oil when cooking your food. Coconut oil is the best source of saturated fats and medium chain fatty acids that help your skin to regenerate, form new skin, and avoid skin damage. It’s also great for giving you enough energy and controlling food cravings. Furthermore, be sure to eat a lot of antioxidant-loaded foods, which you can find in brightly colored fruits and vegetables like dark leafy greens and berries. By doing so, you’ll fill your entire body with antioxidants that’ll fight against sunburns and sun damage. Don’t forget to eat foods rich in vitamin D such as beef liver, cheese, and egg yolks to help your skin prep for sun exposure and for faster, better protection. As you begin pulling out your shorts and bikinis for the summer months, be sure to prep your skin first to look at your best. You can do that by getting rid of all the dead skin cells from head to toe. It’s best to exfoliate at least three times a week during the summer months with a mechanical tool or a scrub with skin-safe bristles. Keep in mind to do it lightly and gently. You can also opt to try using glycolic acid. Glycolic acid is a natural additive from sugar that carefully sloughs off the dead skin cells all over your body. If you want to flaunt and brag your skin with absolute confidence this summertime, then you’ll need to prep your skin beforehand. For smooth, gorgeous skin you’ll be ready to show off, you might need to take a few simple steps. Follow the tips above to have summer-ready and healthy skin.